Dr. David Lasseter, seasoned physician from Chesapeake, Virginia, has been welcomed as “Best in Medicine” by the American Health Council. Dr. Lasseter, whose expertise lie in endocrinology specifically, works for Bayview Physicians and has done for the past 8 years. Overall, Dr. Lasseter has worked in the medical profession for an impressive 30 years. Initially, Dr. David Lasseter chose to pursue a career as a physician after being inspired by his biology teacher, who was a physician, during his undergraduate years. This led him pursue studies for his MD, which he achieved in 1985 from the University of Cincinnati College of Medicine. In addition to this, he completed a fellowship specializing in Endocrinology, Diabetes, and Metabolism at the National Capital Consortium and a residency at the Mount Carmel Medical Center specializing in internal medicine. Throughout his education, Dr Lasseter predominantly studied Endocrinology, Internal Medicine and Biochemistry. This has led him to become certified in both Endocrinology, Diabetes, and Metabolism and internal medicine by the American Board of Internal Medicine. In his current role at Bayview, Dr. Lasseter’s daily tasks include being involved in all aspects of patient care including both treatment and diagnosis, in addition to his oversight of all other clinical aspects. Bayview Physicians is made up of 281 providers across an impressive 66 sites dedicated to outpatient care. This is in addition to 5 hospitals and 6 Urgent Care Centers. Bayview offers assistance to those in need at all hours of the day including regular doctor appoints but also inpatient, hospital-based assistance and after hours, urgent care. The organizations brings together the highest quality medical professionals in the local community. Since its inception, the organization has continued to widen its offering as it now provides urgent care, pediatrics and both family and internal medicine. Bayview can also cater for more specialist conditions including Dermatology, Endocrinology, Neurology, Rheumatology, OB/GYN and sleep medicine to name but a few. This in addition to further services provided including Occupational Health, Audiology, Ambulatory Surgery Center, Lab Services, Lung Cancer Screening, Drug & Alcohol Testing and radiology. The esteemed doctor is proud to have achieved board certification for both endocrinology and internal medicine, believing this is a testament to the expertise he possesses in both of these fields. In addition, Dr. Lasseter is honoured to have received his fellowships with both the American College of Physicians and the American College of Endocrinology. He was also presented with his endocrine certification in Neck Ultrasound, another highly acclaimed accolade. 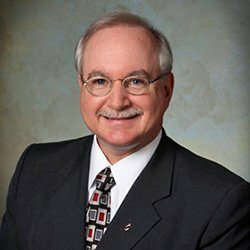 In order to continue his own professional development and to share his expertise with his peers, Dr. Lasseter is a member of a number of professional bodies including The American College of Endocrinology, The American College of Physicians and The American Medical Association of Clinical Endocrinology. Looking back at his career to date, the exceptional medical professional attributes his success to his many achievements over the years, the expert guidance and knowledge he gained from the University of Cincinnati and the support he received during his youth. Dr. Lasseter is also proud of his service in the Navy, from which he retired in 2008. Looking to the future, Dr Lasseter plans to continue expanding his knowledge and reach in his current role and helping as many patients as he possibly can. When he is not busy working, Dr. Lasseter loves to spend time with his family – his wife, his daughter and his son. He also gives back to his community through his work with Chesapeake Church of Christ. Bayview offers quality medical services with 281 providers in 66 outpatient care sites, 6 Urgent Care Centers and 5 hospitals. Over the past 26 years, their group has expanded to provide expert treatment in Family Medicine, Internal Medicine, Pediatrics, Urgent Care, and specialties including Cardiology, Dermatology, Ear, Nose & Throat, Endocrinology, Foot & Ankle, General Surgery, Geriatric Medicine, Hospital Care, Infectious Disease, Neurology, OB/GYN, Occupational Medicine, Physical Medicine & Rehabilitation, Plastic Surgery, Pulmonary & Critical Care, Rheumatology, Sleep Medicine, and Surgical Oncology.